Quick return series with new color grip and blade are coming out. Eye-catching fluorescent orange grip will stand out in any workplace. 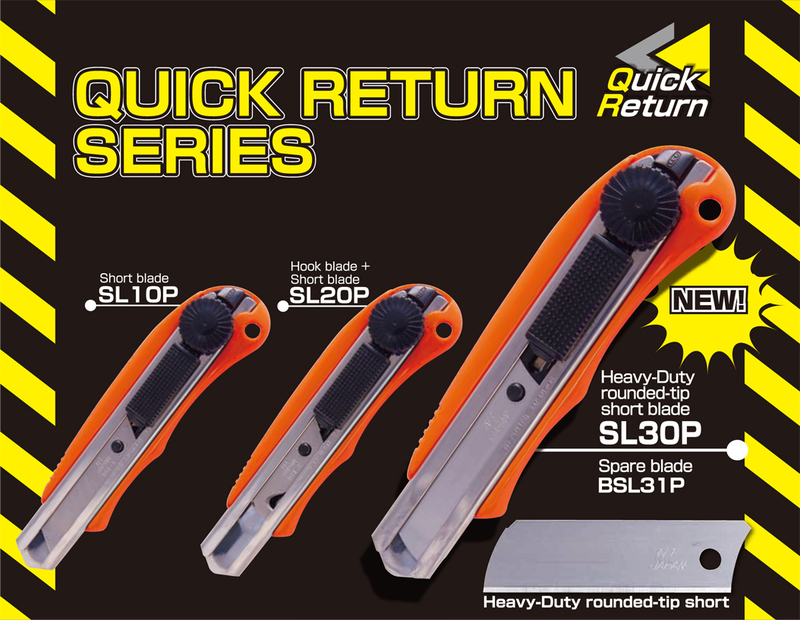 A newly designed rounded-tip blade that reduces risk of injury is added to the series. The newly designed blade is not segmented, so it is suitable for use in any factory where extra precautions must be taken to prevent blades from chipping and accidentally mixing into the product. An auto retractable slider prevents the blade from remaining out of the holder for safety and to make your work smoother. © NT Incorporated. ALL RIGHTS RESERVED.